Just picture it. Dining al fresco outside with the wind blowing in your hair, great friends around the table enjoying fantastic food paired brilliantly with wine. Now imagine this in the middle of January. 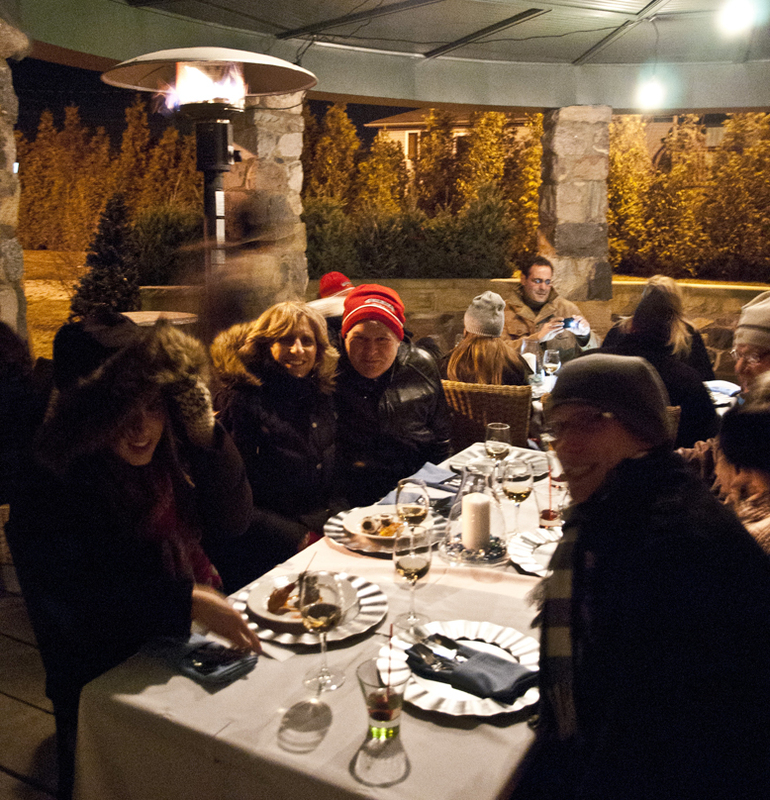 On Friday, December 1, 2012, Kingsville restaurant Mettawas Station is starting to sell tickets for their popular outdoor winter dinner event, Winter Wonderland. The event has been a huge success for the restaurant, selling out each edition soon after tickets are made available. Tickets are $100 per person for the 6-course dinner, complete with local wine pairings for each course. The 2013 Winter Wonderland takes place on January 26, 2013. As for the menu, it’s a secret! Chef Anthony Del Brocco carefully selects unique dishes to showcase his talent. In the past there has been bison and wild boar creations among others. Click here for a look at the 2012 Winter Wonderland.